Three and a half years ago (in a galaxy far, far away) cPanel began planning a feature that we hoped would make the entire internet safer and more secure. There have been a lot of changes, both in the industry and in the company, since then. It took significant re-writes of a lot of the systems inside cPanel & WHM and the cPanel store, but it’s finally here. 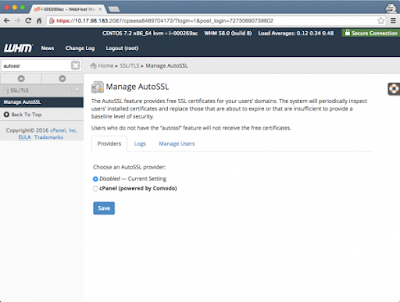 In cPanel & WHM version 58 we welcome AutoSSL, and it is a fantastic addition to our list of features. AutoSSL is the solution one of the biggest pain points that exists for every cPanel & WHM user: SSL installation and renewal. With AutoSSL there are no more forms to fill out, and no more certificates to manually copy into place. Once you enable AutoSSL your websites are automatically secured with a Domain Validated SSL certificate. Perhaps more exciting is the fact that your coverage will never lapse, because at expiration time a new SSL is requested and automatically installed. 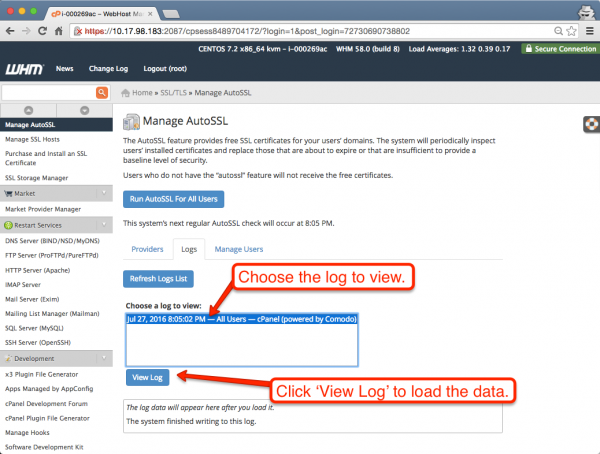 If you have any problem with the application, you can view the logs for AutoSSL right from the WHM interface. After the first run of the cronjob you’ll see the logs listed in the ‘Logs’ tab. 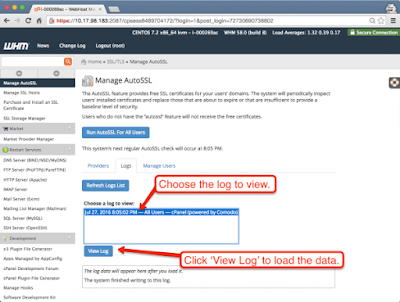 You can load the log by selecting the log file you’d like to view and clicking ‘View Log’. AutoSSL was introduced as a new feature in v58, but if you’re still running CentOS 5 or CentOS 6 32-bit, you won’t be able to take advantage. cPanel & WHM v56 is the last to support CentOS 5. If you want the benefits of AutoSSL, it’s time to migrate! Our Server Configuration additions to the Transfer Tool make it easier than ever, so what’s holding you back?